U.S. Army Spc. Christopher J. Coffland, 43, of Baltimore, Maryland, died Nov. 13, 2009, in Wardak province, Afghanistan, of wounds suffered when enemy forces attacked his unit with an improvised explosive device. Coffland, who joined the Army a month before reaching the enlistment age limit of 42, was assigned to the 323rd Military Intelligence Battalion at Fort Meade, Maryland. He was deployed to Afghanistan two weeks prior to his death. Coffland was a CrossFit athlete who was known to have demolished the U.S. Army Physical Fitness Test, which features push-ups, sit-ups and a 2-mile run. He was particularly fond of long workouts, heavy lifts, distance sprints, push-ups and sit-ups. Coffland is survived by his parents, David and Toni; his sisters, Lynn, Karen and Laurie; his brother, David; and many other friends and family members. Today is bring a friend day! In a surprise move, CrossFit, Inc. Founder and CEO Greg Glassman announced an additional week in the CrossFit Open series of workouts, Open WOD 19.6. There will be additional spots available to qualify for this year’s CrossFit Games to be held in Madison, WI July 29th through August 4th. The top 10 finishers in both the Men’s and Women’s divisions will earn a spot in the 2019 CrossFit Games. The winners will pocket $100,000 in cash. The deadline to complete the workout and submit scores is Friday at 5:00pm PST, or 8:00pm EST. There is no time cap for this workout. All work must be completed, take as much time as needed. 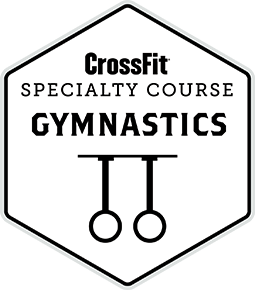 We are closed for classes today to host the CrossFit Gymnastics seminar. Head to a track to take on this hero workout! In honor of USAF SSgt Travis L. Griffin, 28, who was killed April 3, 2008 in the Rasheed district of Baghdad.